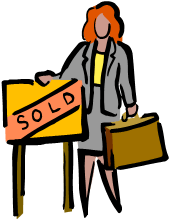 Selling a Home Should Not be Alarming! Discuss with your real estate agent the use of the burglar alarm system while your home is on the market. Contact your monitoring company to advise that the property is on the market and that real estate agents will be in and out throughout the day. Set up special instructions so they call the house, your cell phone, and your work phone before they request dispatch on all burglar alarm activations. Ensure that the alarm company has up to date home, cell and work phone numbers for you. Provide complete training to agents on how to properly arm and disarm the alarm system. Remember, you, the property owner or the alarm user, will be responsible for penalties associated with false alarms. Obtain a separate arm/disarm code and password for real estate agents who are allowed to enter the home during the sale period. Agents can use their codes to turn off the alarm system, cancel response and identify themselves to the alarm company as a valid alarm user. Consider attaching a non-removable tag to the key in your lock-box that provides the arm/disarm code, as well as the appropriate password. You can also include simple instructions on how to operate the system and what to do if an agent accidentally causes a false alarm.